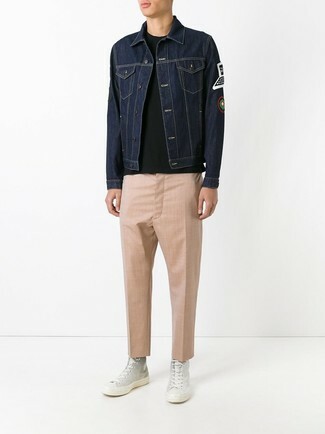 If you're scouting for a casual yet on-trend getup, dress in a Philipp Plein paint splattered denim jacket and beige chinos. Both garments are totally comfortable and will look great together. 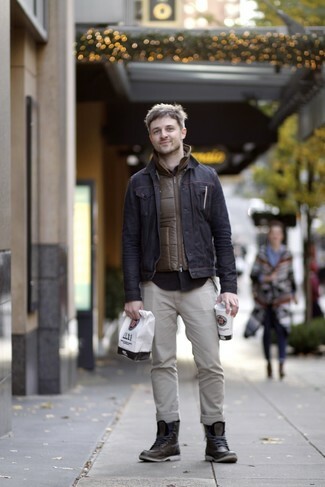 Black leather work boots will add more playfulness to your outfit. 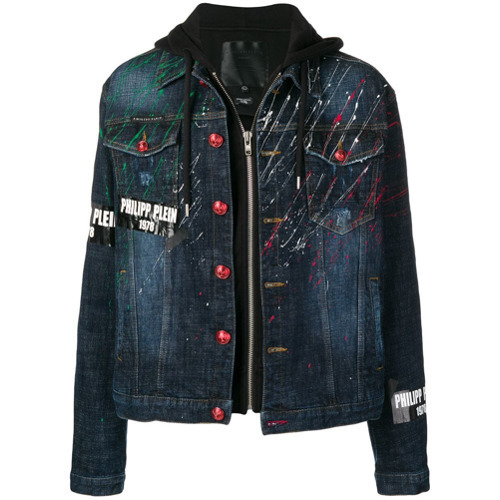 If you're looking for a casual yet stylish ensemble, make a Philipp Plein paint splattered denim jacket and black jeans your outfit choice. Both garments are totally comfortable and will look great paired together. 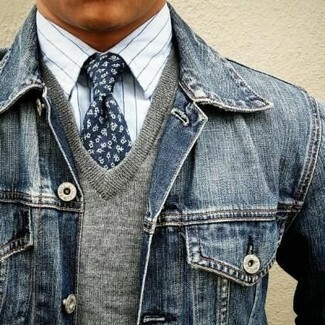 If you're on the lookout for a casual yet on-trend ensemble, team a navy denim jacket with a grey v-neck sweater. Both pieces are totally comfortable and will look great together. 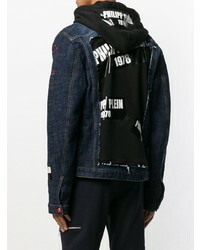 If you're scouting for a casual yet seriously stylish ensemble, reach for a Philipp Plein paint splattered denim jacket and blue jeans. Both pieces are totally comfortable and will look great paired together. 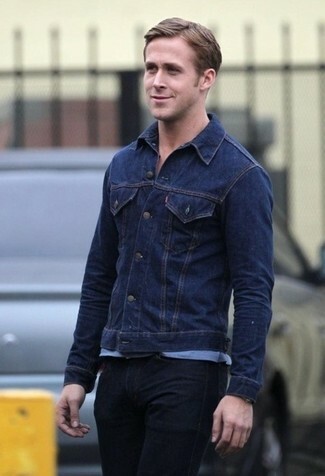 Channel your inner Ryan Gosling and choose a pair of black leather brogue boots to class up your getup. If you're searching for a casual yet on-trend look, consider wearing a Philipp Plein paint splattered denim jacket and khaki chinos. Both pieces are totally comfortable and will look great paired together. 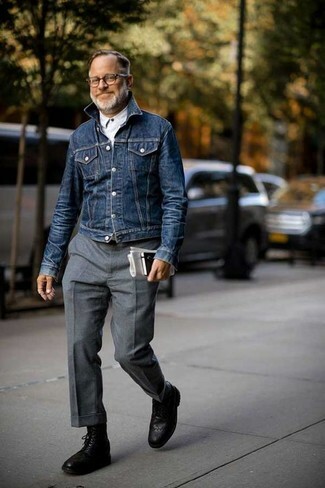 For something more on the daring side to finish off this look, grab a pair of silver leather low top sneakers. 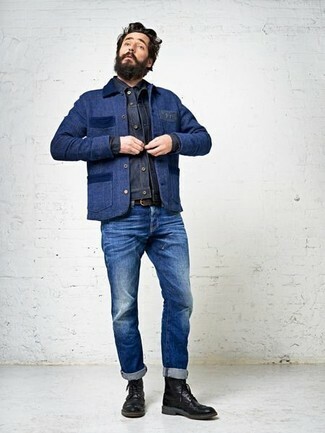 If you're in search of a casual yet dapper outfit, reach for a navy denim jacket and navy jeans. Both pieces are totally comfortable and will look great paired together. 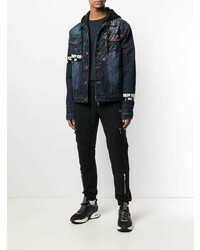 Pair a Philipp Plein paint splattered denim jacket from farfetch.com with olive dress pants like a true gent. Black leather derby shoes are a nice choice to complete the look. 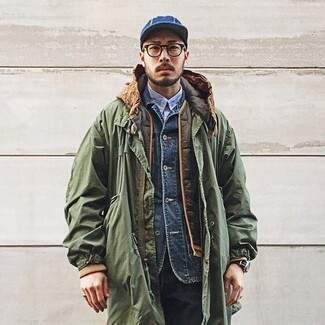 Consider wearing a navy denim jacket and grey wool dress pants for a classic and refined silhouette. 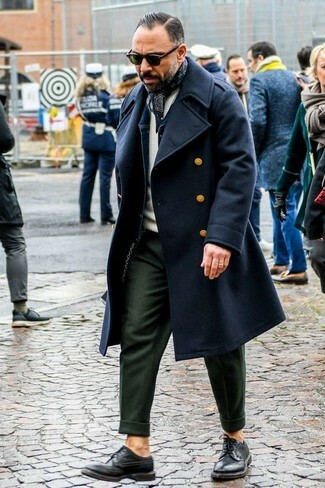 Choose a pair of black leather brogue boots to make the look more current. 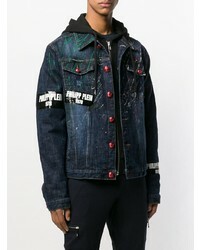 If you're searching for a casual yet sharp getup, marry a Philipp Plein paint splattered denim jacket from farfetch.com with black jeans. Both items are totally comfortable and will look great together.